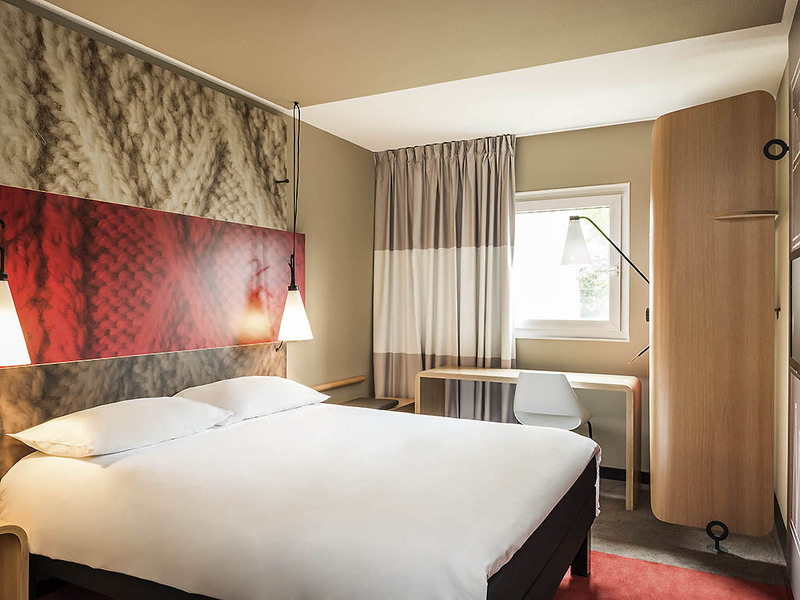 The Ibis Paris le Bourget hotel is located in La Courneuve, north of Paris, 2 km from Le Bourget airport and the Air Museum and 800 m from the RER station. Le Bourget Exhibition Centre is easily accessible. The hotel has 72 air-conditioned rooms, with Wif i Internet access, including 4 adapted for disabled guests. A restaurant, a terrace, a bar, snacks 24/24h and free private parking are at your disposal. You can book 2 meeting rooms (100 persons). Air and space museum, Saint Denis Basilica, Courneuve park.